At the time of their founding, Nightbringer were conceived as a conduit for contemplations on the mysteries of death as it is understood in the tradition of the magical arts. 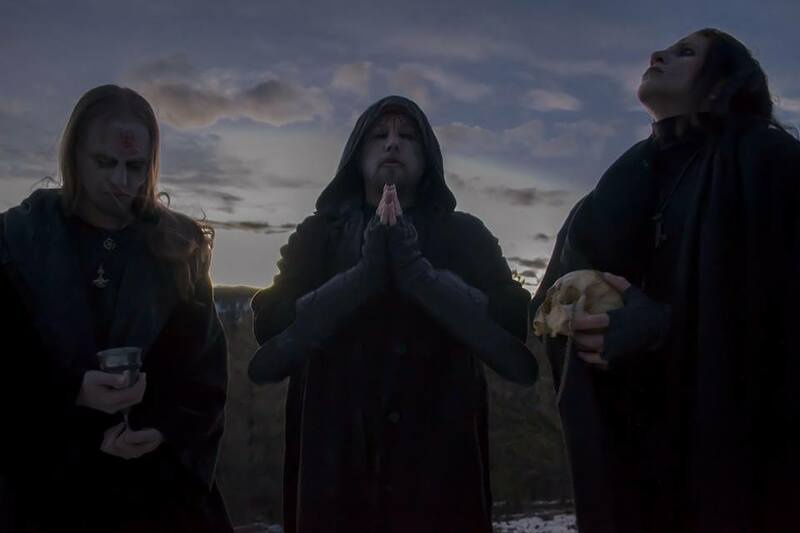 Formed in the year 1999 by vocalist and guitarist Naas Alcameth and former member Nox Corvus, the outfit from Colorado, United States chose Scandinavian Black Metal as the foundation of their artistic expression. 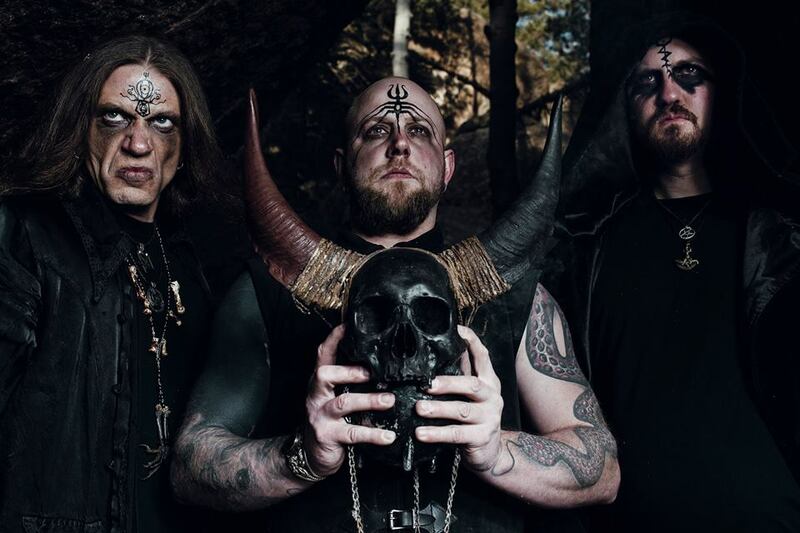 Nightbringer developed along the lines of second generation Black Metal, while continuously expanding their own unique sinister mark on sound. After unleashing several demos and split releases between 2001 and 2006, their debut album “Death and the Black Work” arrived in 2008. Two years later, sophomore opus “Apocalypse Sun” followed. They count 5 full length albums and many split. This Is Black Metal Webzine talks with Naas Alcameth about their future plans and their latest offer “Terra Damnata“, which takes at least as big a step into new musical dimensions as its predecessor “Ego Dominus Tuus” (2014), yet without straying from the band’s original black course.  This Is Black Metal: Thank you for this interview. When you first started the lyrical concept of the band was more leaned towards the mysteries of death then it evolved to a more spiritual,esoteric concept. Did it evolve naturally or was something that you conscientiously decided to do? Naas: The “mysteries of death” and spirituality we speak of are not mutually exclusive but one and the same. The esoteric concepts that inspire Nightbringer have much to do with death and all of the powerful symbols around this. 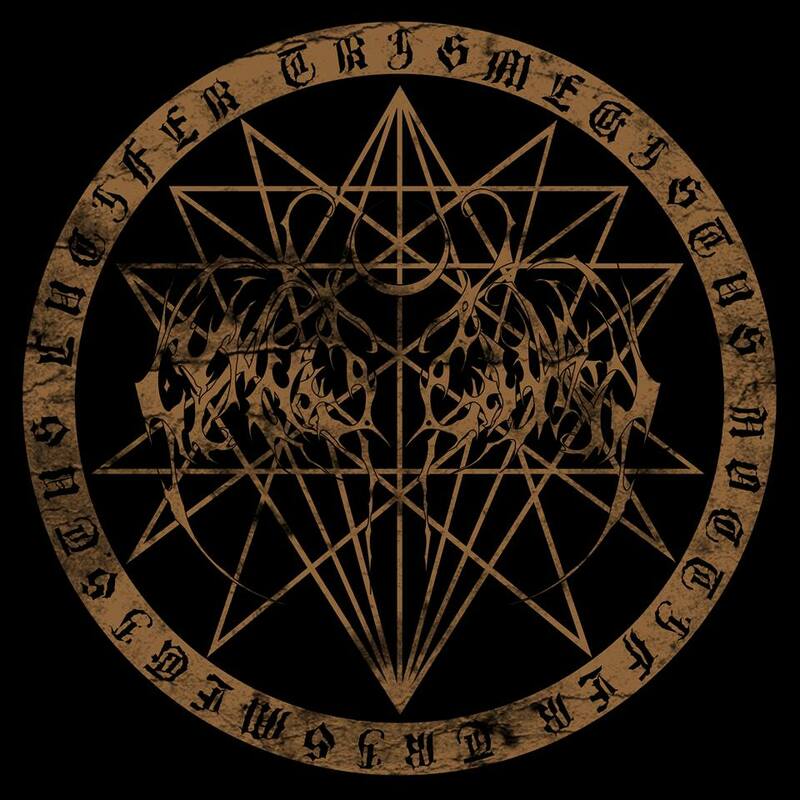 Nightbringer has been rooted in the esoteric from the very beginning and you will find many references to hermetic/alchemic tradition and other such currents that have been pillars within the band. If you look at our debut EP from 2005 you can see tracks such as Mors Philosophorum, which are completely esoterically inspired. TIBM: During the years you had some line-up changes and your all-american line up turned into a more international one, was it positive for the band to have that variety? Naas: There are two of us who are American still, although VJS is living in Europe now. It has been positive in the sense that we have the “right” mix of individuals, all who understand the vision and sound of Nightbringer very well. It has presented logistical issues as far as live performances of course, as we have six different members residing in four different countries currently. TIBM: In your latest work Terra Damnata, Ophis contributed far more with vocals which translated into varied vocals. For your future material can we expect more of that contribution? Naas: Yes, we feel this added a whole new dynamic and we intend to continue in this direction. His vocals are quite unique, a sort of “mad sermon on the mount” approach that you do not really hear elsewhere. TIBM: Can we expect a new album soon? Naas: We have been quite prolific over these last few years and now it is time to let things breath for a time. Many of us are also very involved with our own individual bands and projects at this time. The time will come when it comes. TIBM: What will be the concept for it and how’s the progress so far? Naas: It is too soon to tell really. I haven’t even begun to consider any of this at this time. TIBM: Your live outfit is meant to have a spiritual significance or is it meant only for a visual impact? Naas: It is meant to have both a spiritual significance and an aesthetic impact. The robes, the colours, so on are quite traditional in a sense, to both occultism and to black metal music really. TIBM: In the next months do you have any concerts planned? Naas: There is nothing planned at this time. TIBM: What were your main inspirations when you began and what are your main influences now? Naas: Our main inspirations as far as concepts have always been and will always been rooted within certain esoteric traditions. Of course this is a very broad and vague term which includes many different currents and traditions and we tend to focus on the more “adverse” side of this realm. TIBM: What bands have you been listening to these days? Naas: Recently I have been listening to a lot from Trepaneringsritualen and Adaestuo. TIBM: Finally, Would you like to leave a message for our readers? Naas: In a world of enemies, we are the enemies of the world.